LEX485 Built-In Gas BBQ Expand your kitchen to include the great outdoors; by adding a Built-In LEX 485 Grill Head. Three stainless steel tube burners provide even heating. Use one, two or all three burners to bake, sear and even smoke on this versatile grill. High quality stainless steel cooking grids retain heat and produce the iconic Napoleon wave sear marks. Napoleons JETFIRE ignition system makes sure that your grill lights every time by shooting a jet of flame to light the burners. 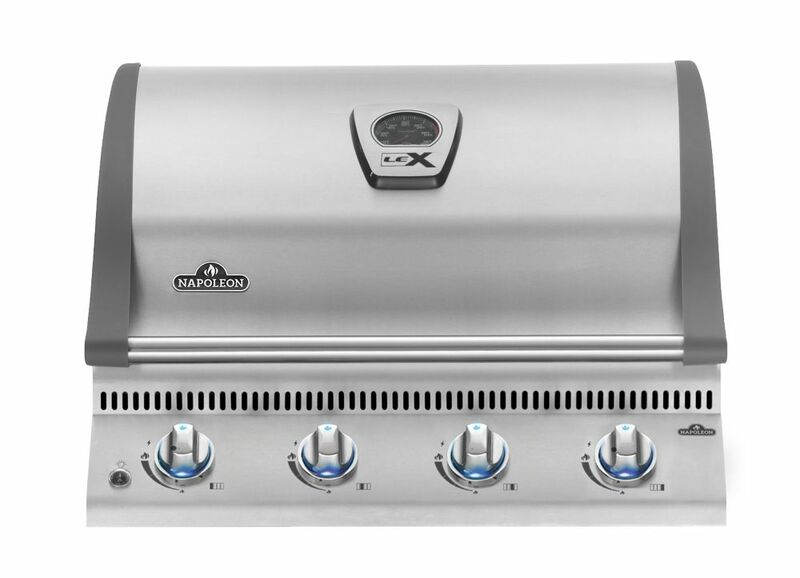 LEX485 Built-In Gas BBQ is rated 4.4 out of 5 by 5. Rated 4 out of 5 by JimK from This product was the perfect replacement for my 20-yr old Napoleon grill which finally bit the du... This product was the perfect replacement for my 20-yr old Napoleon grill which finally bit the dust this year. Except for problems ordering the correct grill (propane vs natural gas), this grill was very easy to install and have up and working the same day. Thanks Napoleon for keeping dimensions the same over the years :). Only suggestion I'd give is to make selecting the gas type a part of the ordering process so others don't make the wrong choice .. like I did and have to return one and order correctly. The other thing that made it confusing was the documentation was exactly the same for each grill and talked about both gas types in the installation instructions. Rated 5 out of 5 by RV from This grill is very easy to assemble, looks great and works great! I love it! This grill is very easy to assemble, looks great and works great! I love it! Rated 5 out of 5 by JImmy T from Lex 485 is fabulous This is a superb BBQ. Mine replaces an older, well used Napolean. The LEX 485 is built even better with even higher quality materials and design. Each controller lights it's own burner. There is an inner heat shield on the lid.The lid is higher to fit larger meats. The burner heat can reach 700°f but highly controllable. The cooking zones respond very well. I am impressed by quality and price point.